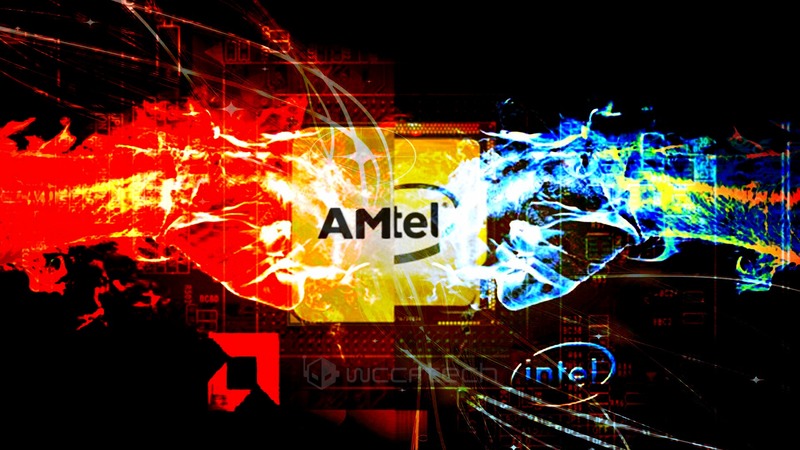 Despite the tumultuous stock market atmosphere that has gloomed over the tech sector in the past couple of months, which has struck both Intel and AMD with particular ruthlessness, fresh sales figures indicate that the smaller of the two players not only has had far better luck in November than its much bigger rival, but that it has in fact had a history making and record breaking month. 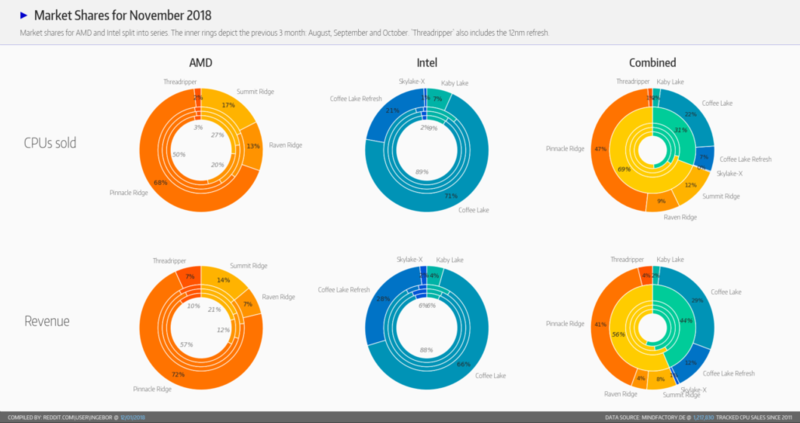 Thanks to the incredible data transparency of Germany’s largest e-tailer, Mindfactory.de, and the incredible effort by the AMD community to collect and graph the data we’ve had the privilege of gaining deep insight into PC market performance every month and November was no exception. So let’s dig straight into the numbers. For every one Intel processor sold at Mindfactory.de last month, buyers purchased approximately two AMD processors. In terms of volume in the same month, buyers purchased more than sixteen thousand AMD processors via the German E-Tailer, nearly double the amount compared to the same month last year and by far the largest volume of processors ever sold at the e-tailer at any given month. Intel sold less than half its rival’s amount at just a little under 8000 CPUs which is around the same figure for the company at the same month last year. This indicates that the momentum shift in favor of AMD is largely due to considerable growth in the company’s sales, rather than a decline in Intel’s sales. The best selling CPU was the AMD Ryzen R5 2600, followed by the R7 2700X, the R5 2600X and finally the Intel Core i7 8700K secured fourth place. When broken by revenue generated instead of units sold the situation improves marginally for Intel due to its significantly higher pricing structure. Although, AMD still commands the lion’s share of the revenue with a record breaking 3+ million Euros generated in November, the largest figure ever recorded by Mindfactory.de even when compared to Intel’s best performance last year in December. Nearly half of all CPUs sold at the e-tailer last month were 2nd generation “Pinnacle Ridge” AMD Ryzen chips, constituting 47% of unit share. In second place is Intel’s Coffee lake, with a little less than half that at 22%. Although, again thanks to significantly higher pricing, Intel’s share of the revenue is noticeably larger than its share of CPUs sold. All in all, November was a record breaking month for the small Sunnyvale chip maker. It also remained a decent one for its much larger rival, despite its on-going production difficulties. If this momentum for the red team holds up we could see even more records broken by the end of the year. What Are You Rockin' in Your System?